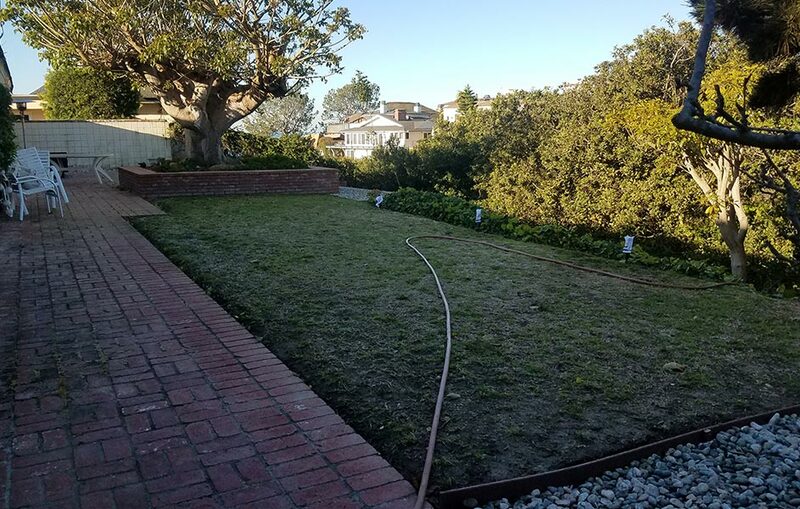 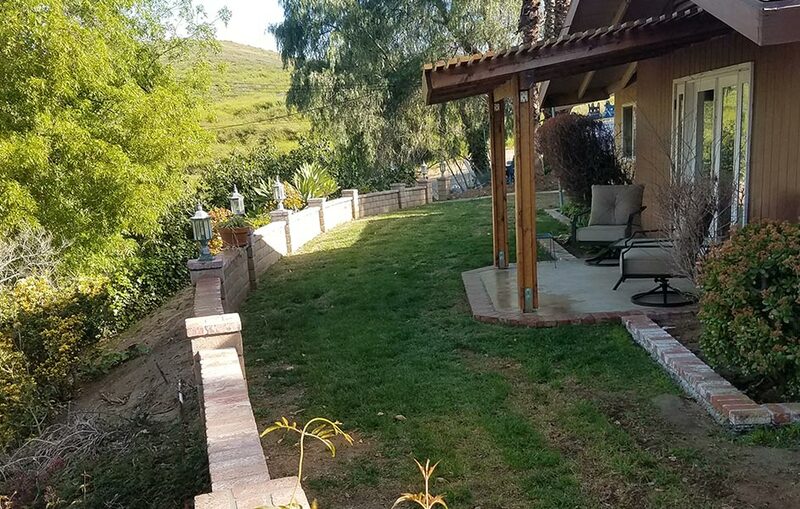 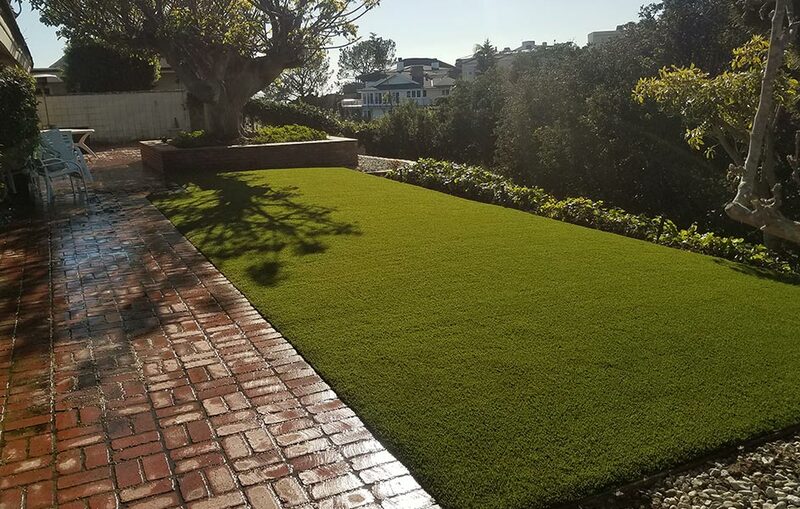 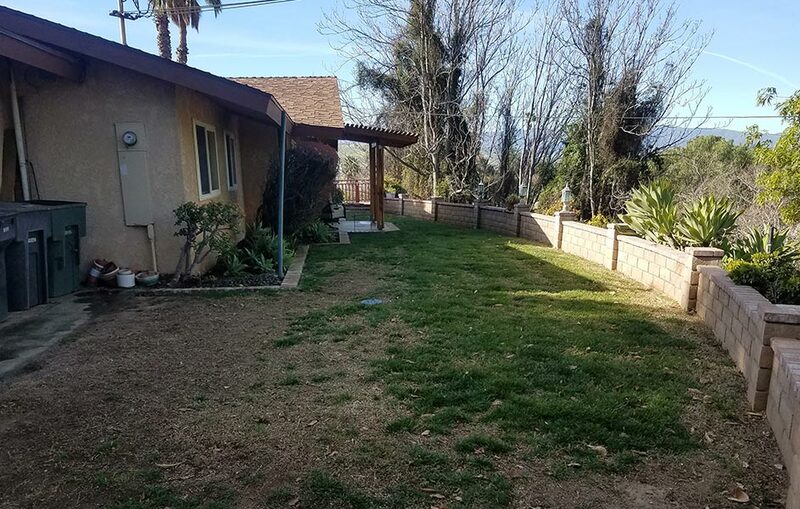 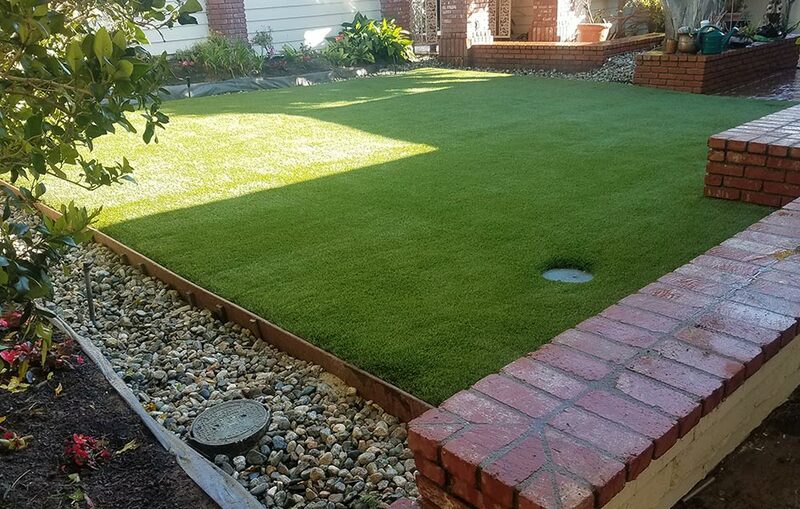 If you are looking for the perfect lawn but dread the constant maintenance required to keep your lawn looking like a million bucks, you should definitely consider replacing your natural grass lawn with Mesa artificial grass. 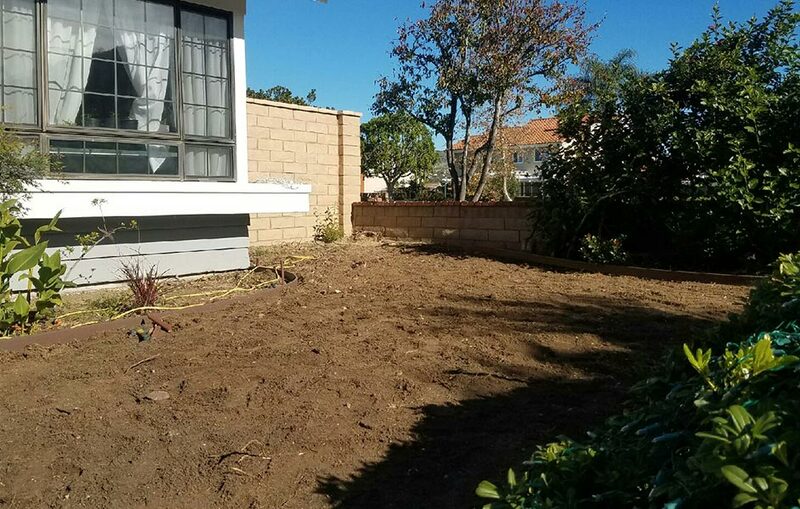 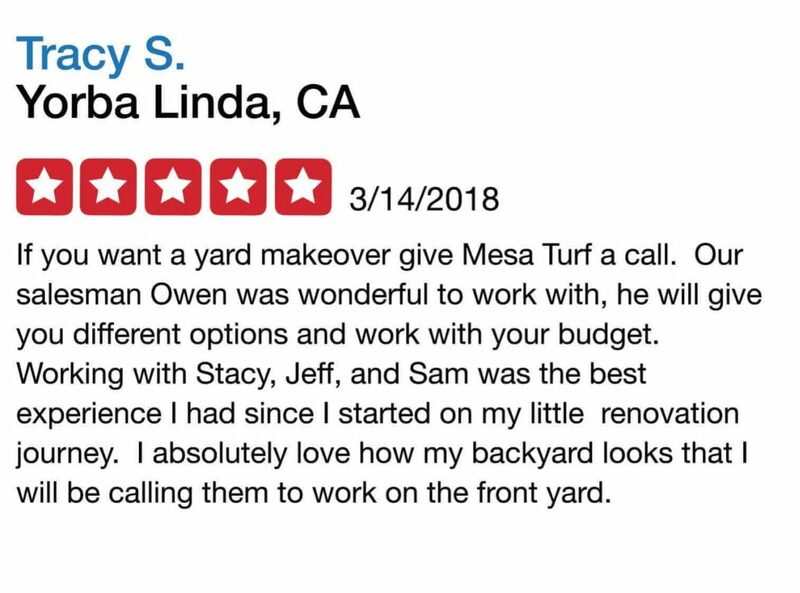 The Mesa Turf Design Team will give your old space a makeover! 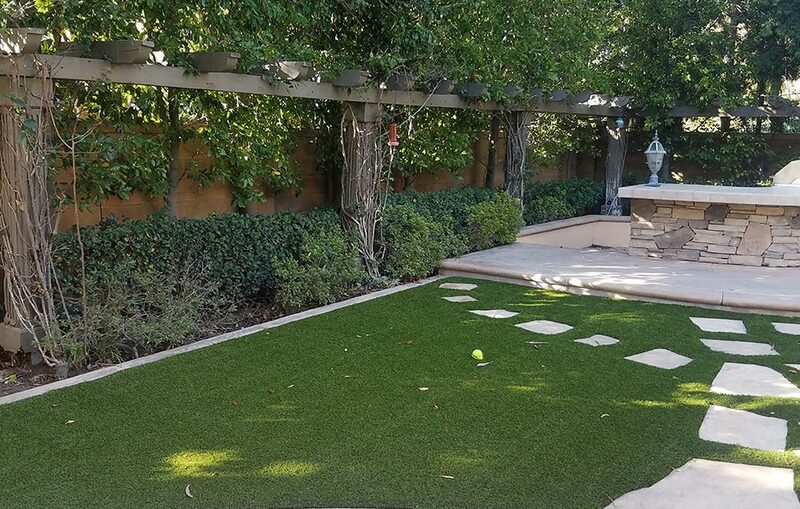 One of our professional artificial turf landscape designers will meet with you, take pictures of your current space, and then go to work using creativity and the latest technology to transform your ordinary space into an extraordinary place! 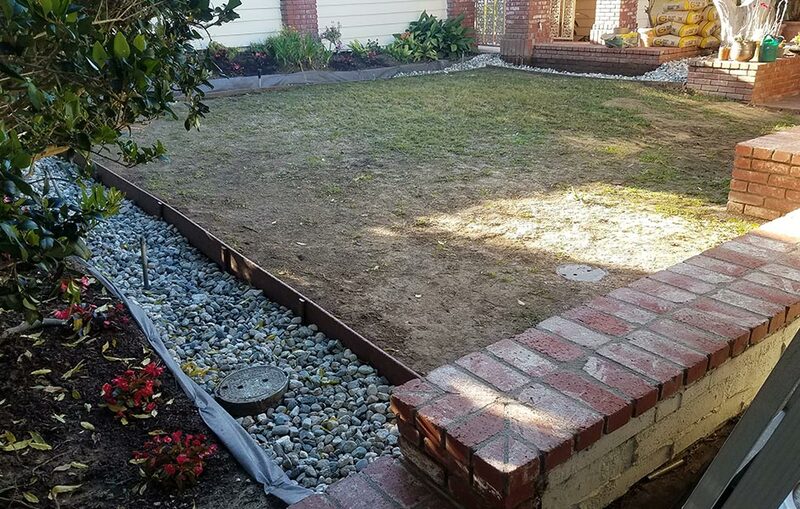 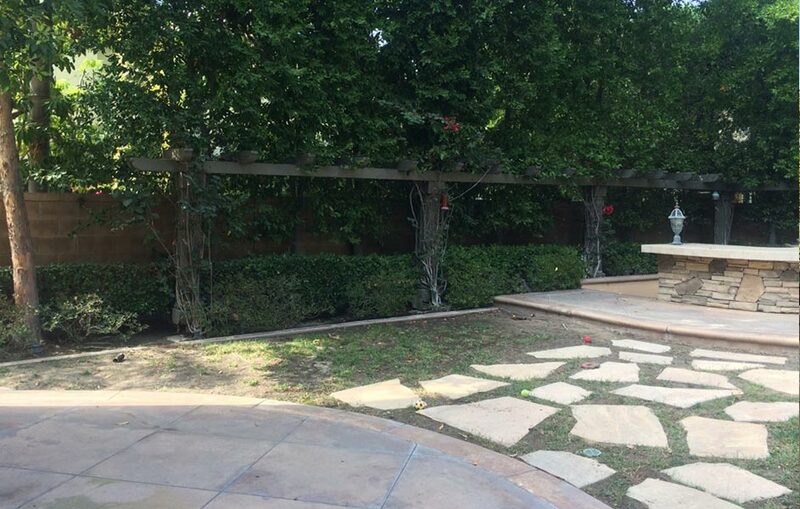 Discovery: Finding out what ideas you have about your new landscape is essential. 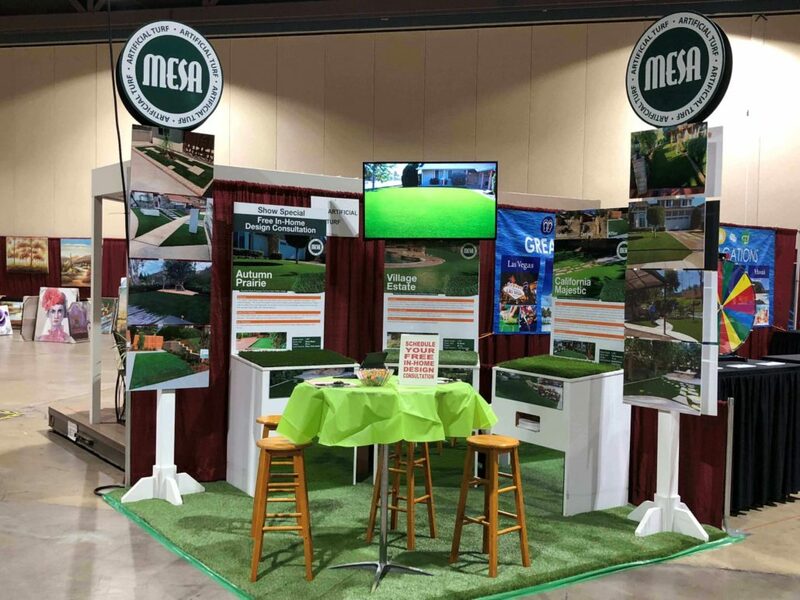 Mesa Turf’s design expert will spend time discussing with you your vision for the property and the time frame necessary to bring your vision to light. 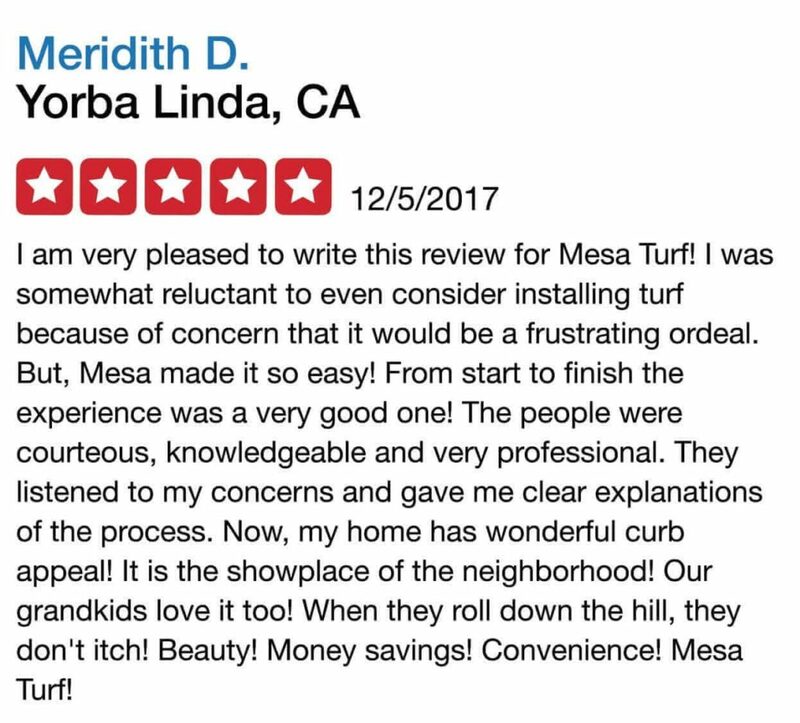 Recommendation: The Mesa Turf Design Team will create a detailed sketch of the work to be done and discuss potential next steps. 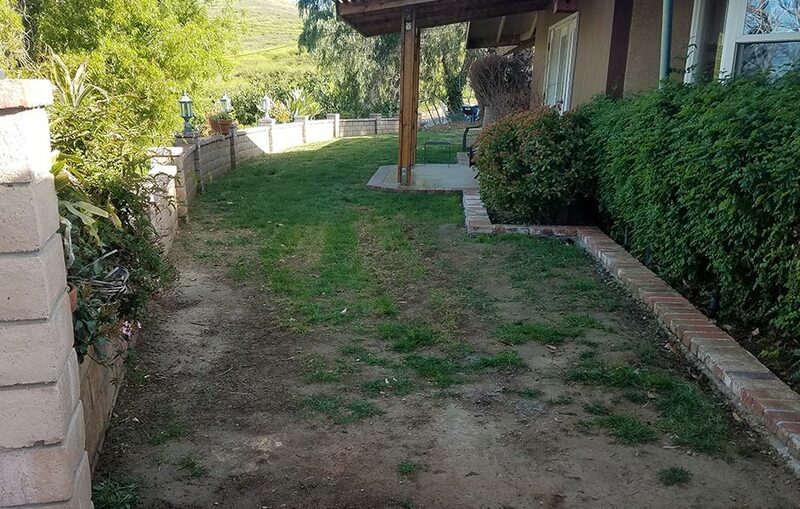 And the best part of all, it’s completely FREE! 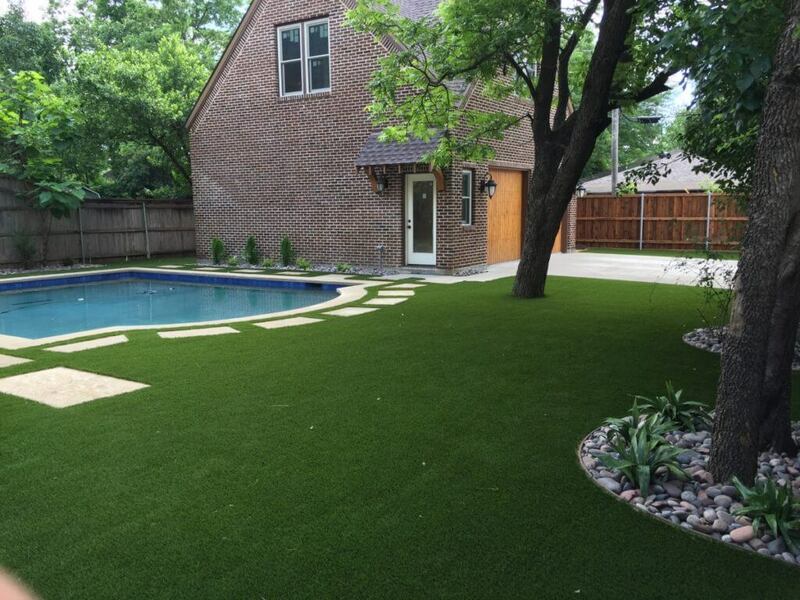 Just give us a call to get started on your free professional artificial turf landscape design! 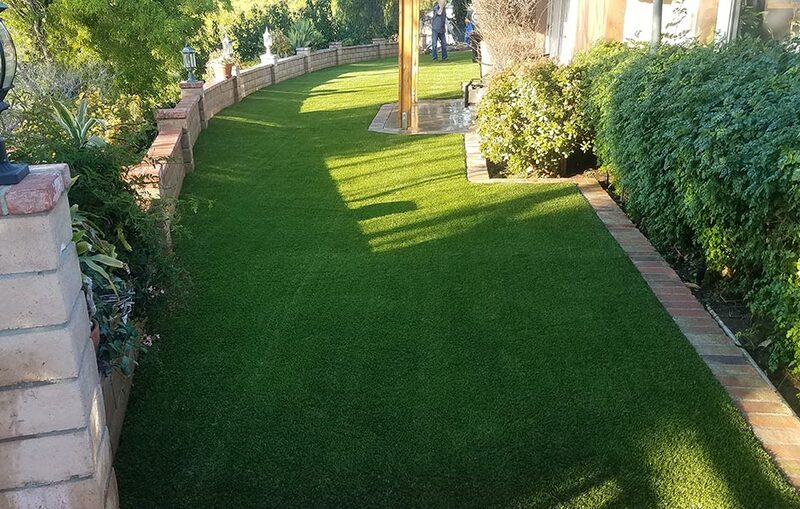 Mesa Turf has a showroom in Orange County (Anaheim, California) featuring the full range of artificial turf applications we offer. 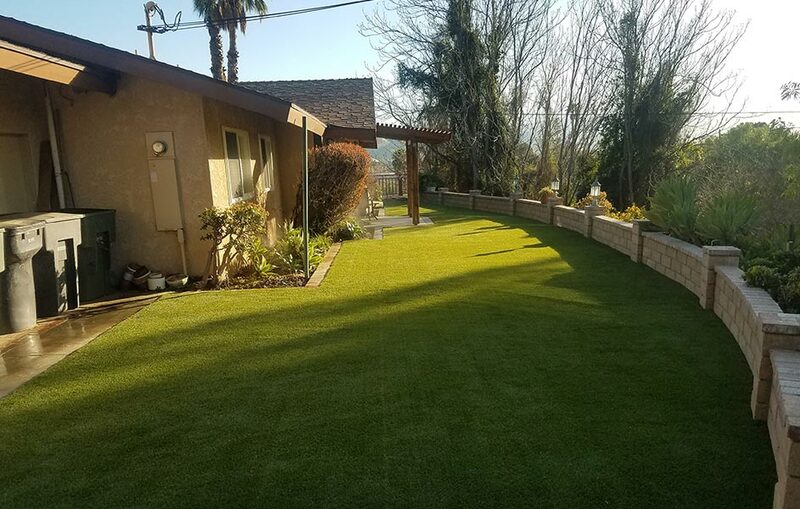 Come to our showroom to experience our artificial turf products up close and personal, the only way to truly appreciate just how soft, vibrant, and realistic looking our products are. 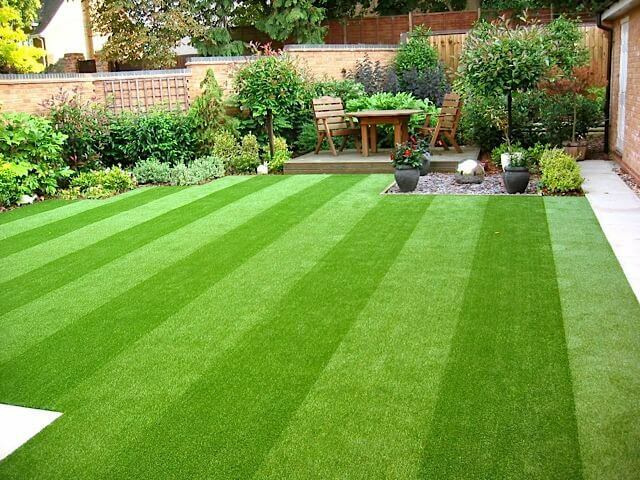 For more information on our artificial turf showroom feel free to give us a call to set up an appointment. 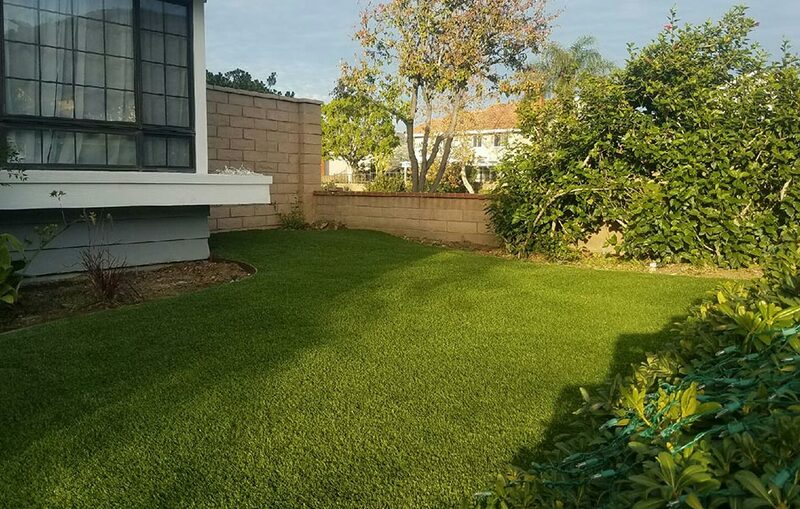 Mesa Turf is proud to partner with The Home Energy Renovation Opportunity (HERO) Program to offer artificial turf financing for residential properties. 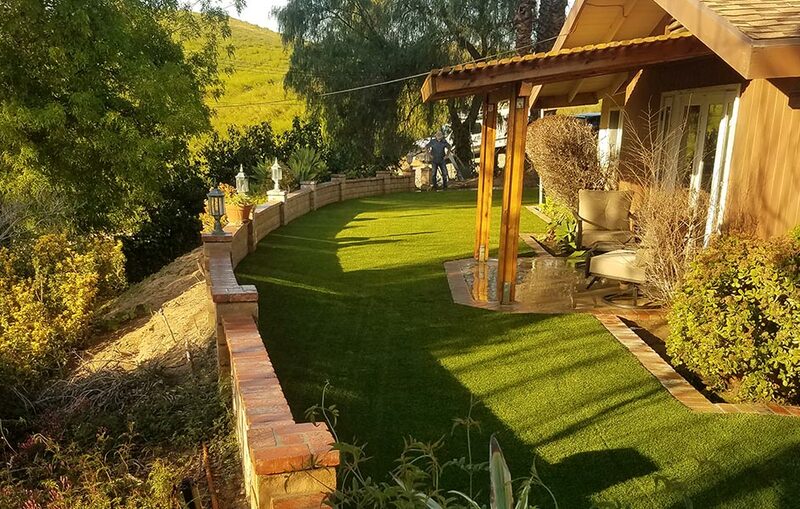 By financing your artificial turf project through The Hero Program, you are eligible to receive a low fixed interest loan covering 100% of installation costs with the financing paid back along with your property taxes over a five to twenty-year term. 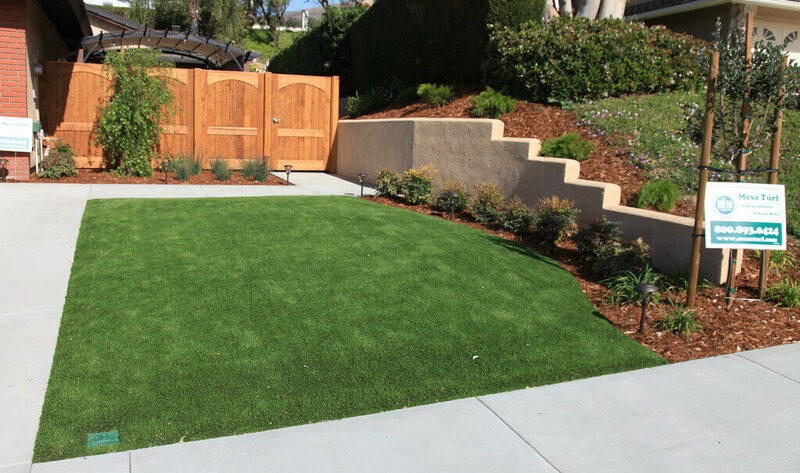 So why should you finance your artificial turf project with HERO? 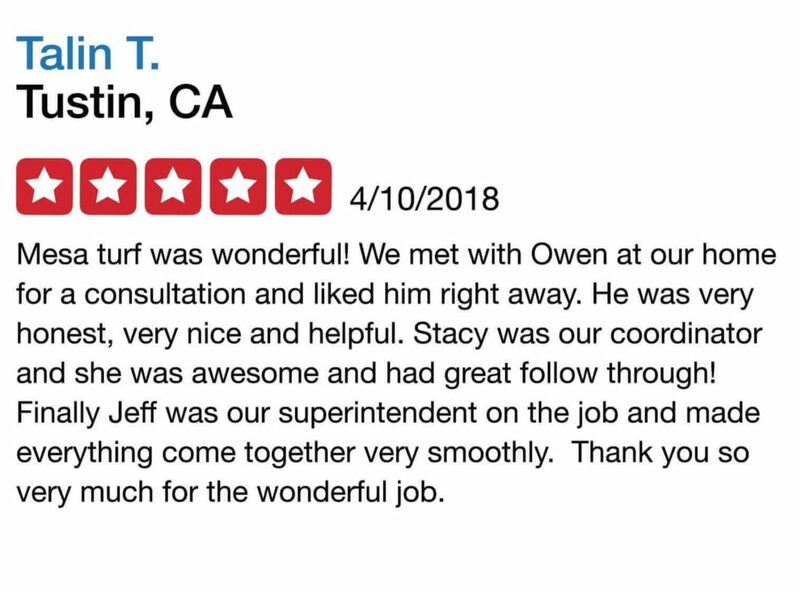 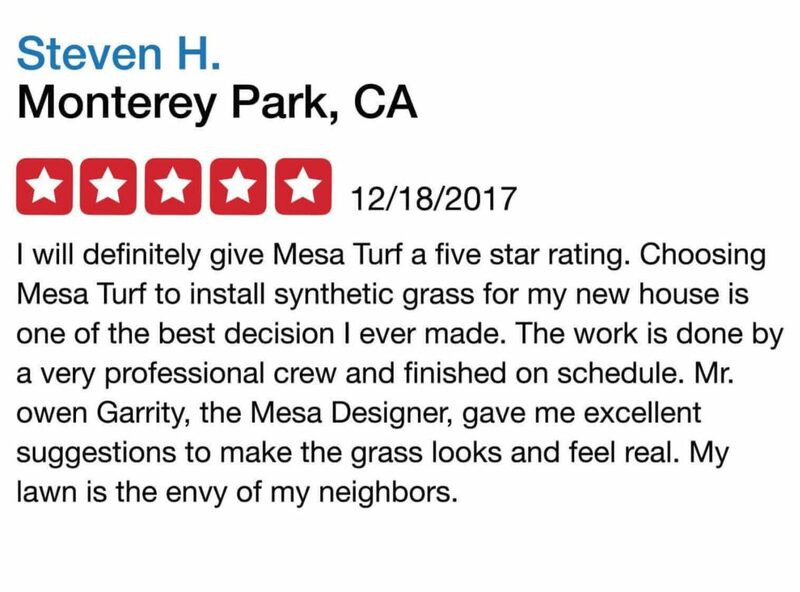 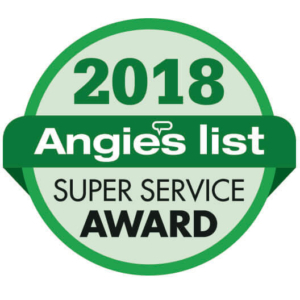 Customer service is, and will always remain, top priority at Mesa Turf.